During the weekend, I received in my email a bunch of screen shots from a Twitter account of someone in the Galion district who may or may not be a coach. The person who sent me this email didn’t leave a name or phone number, although I could probably figure it out based on the email account used. But I don’t think that’s a necessity. But a parent, student, former player or someone else wants me to do a story based on offensive words in these Tweets. I read a couple. They did contain adult language. I don’t plan to read more. I don’t need to. It’s not because I condone vulgar language, although I use it myself more often than I should. It’s because — at this time — I don’t plan to write an article about this coach or those Tweets. The local newspaper is not the avenue to travel upon in an effort to get coaches or athletic directors or anyone else terminated. I may be the last resort. But I’m not the first. I’ve been at this newspaper for a year. On three occasions we have received letters or phone calls or emails about a coach who reportedly said something offensive and someone was outraged. Someone wanted these coaches fired. 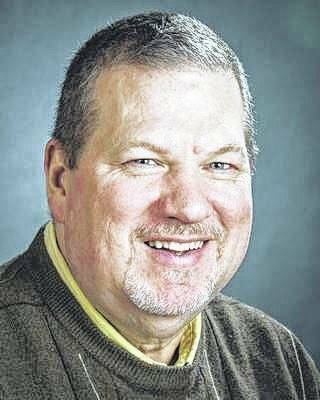 I’ve been in the newspaper business more than 30 years, and in all those years, on just one other occasion have I heard of someone going to the local newspaper in an effort to get a coach fired. Three times? In one year? In Galion? Is there a different agenda here? I wonder. If not, and if someone is truly offended by the actions of this coach, call the coach and initiate a conversation. Call the school principal and ask for a meeting. Call a school board member. Call the athletics director. Call the superintendent. All these folks have telephones, snail mail boxes, email boxes and are easy to contact. Better yet, attend a Galion school board meeting and air your grievance in a public forum. School board meeting dates and sites are public record. They are open to the public. That should be the first step in addressing this type of situation. Yes, coaches swear. Yes, coaches say things they shouldn’t. Yes, coaches sometimes exhibit bad judgment. Is that something that should result in their termination? But that decision is not mine to make. I’v played sports most of my life. I’ve been unhappy with my playing time or with being cut from a team. I’ve talked to other parents who unhappy abouttheir sons’ or daughters’ playing time. But neither I — nor anyone else I know — ever try to orchestrate a public campaign to get a coach fired. I don’t know why it has become common in Galion. Middle schools and high schools and youth leagues struggle all the time to find coaches. For most, it’s not worth the trouble. There is absolutely no way I would be a coach … at any level. I don’t want every word, every sentence, every statement I make scrutinized. Sadly, that’s easy to do thanks to social media. For many, social media has become an avenue to pick at, criticize, judge and humiliate others. Social media is an easy way to attack, threaten and bully others. They should call it anti-social media. And I’m not the only one who feels that way. Coaches don’t want, nor do they deserve, the grief that has become a larger and larger part of the job. Some of the most influential people in my life were coaches. They were coaches I played for and coaches I met through my job. A lot of coaches became and have remained good friends. I’ve never met a coach who’s No. 1 goal was not to win. I’ve never met a coach who did not want to make better players or better people of the athletes on his or her team. Coaches realize before they accept the job that unhappy players, parents and relatives come with the job. But they don’t deserve to have every decision they make, or every word they utter, scrutinized by someone looking for an excuse to get someone terminated. But that seems to be what is happening in Galion. Veteran coaches are walking away from low-paying jobs they love. Which means younger coaches must be recruited. Those young coaches are being forced to learn on the job. Because there are fewer and fewer mentors around to work with young coaches, they make bad decisions. New coaches lack experience. Which means they are going to make mistakes. They sometimes use bad language and bad judgment. But young coaches learn as they go. They grow in experience and in their ability to make good decisions … if they get the chance. And most bad decisions aren’t evil enough to get someone fired. If this trend continues in Galion, one day we will have no coaches, and no athletic teams. Is that where this community is headed?